Tone down the styling, add rear doors, and there you go. 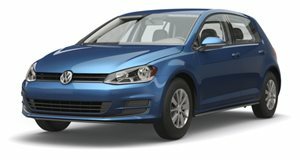 Volkswagen is currently busy designing and developing the next generation Golf, one of the automaker’s most important models. It’s not something they can afford to mess up, and we highly doubt they will. But VW has just released this single image of what’s called the Gen.E research prototype, an all-electric hatchback whose design strongly hints at what the next Golf will look like. VW is showing this experimental three-door hatch as part of its Future Mobility Days 2017. We do know this prototype is powered by a lithium-ion battery with an updated electric motor, but VW hasn’t divulged any other specifics. Overall, we like the design direction VW has taken here. Tone it down slightly, add rear doors and you’ve got the 2019 Golf.